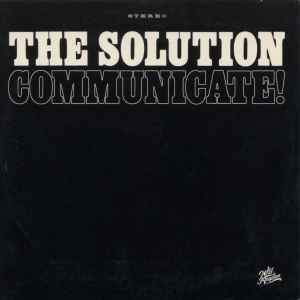 The Solution (2) ‎– Communicate! Tracks 2, 3, 8 & 10 published by Universal/MCA Music Scandinavia AB. Tracks 5, 8, 10, 11 & 12 published by Chaucer-Bach, BMI, adm. by BUG Music. Track 6 published by EMI Music Publishing AB. Track 9 published by Warner/Chappell Music Scandinavia AB.